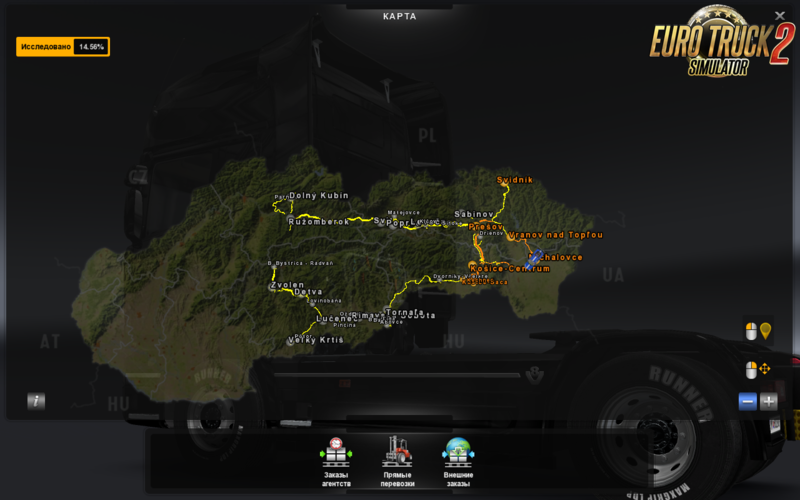 Slovakia Map v5.0 by kapo944 (1.25.x) for Euro Truck Simulator 2 game. !!! At 1.25 does not work !!! Its cargo company trailers. Its traffic sounds and environments. The new version upgrade roads, models, prefabs. Improved and corrected texture road, road marking and fencing, panels and signs. DLC Going East and Scandinavia are not necessary! Slovakia Update Module for patch 1.25. Its cargo company trailers. Its traffic sounds and environments. The new version upgrade roads, models, prefabs. Added new cities and roads. DLC Going East and Scandinavia are required!